Located in the heart of Winchester’s historic district, the restaurant opened its doors in 2003. The building has a rich history, including a stint as a oil and fragrance shop in the rear of the building, and an auto dealership in what is now the dining room. 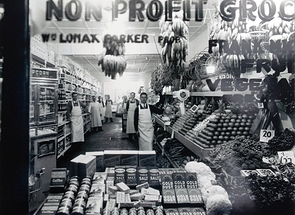 It then became a nonprofit grocery in the 1920’s, and eventually converted to a diner called Vivian’s Golden Kitchen in the 1950’s. Two years later, in 2005, we expanded into the building next door, creating a piano bar and lounge, and several private dining rooms. Up until the recent past, this building housed the Miller’s Drug Store, once the oldest continuously operating drug store in the United States. The rear room of V2 was a former speakeasy, frequented by regulars during prohibition when the sale and consumption of alcohol were illegal. 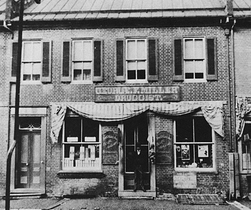 The drugstore at the front of the building kept alcohol in stock for those whose doctors had prescribed it for medicinal purposes. Both buildings exude charm through the layers of history.